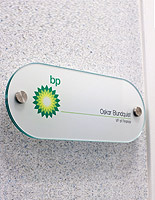 4" x 10" 5" x 8"
This custom directory sign has a modern oval shape that adds a professional touch to any environment. 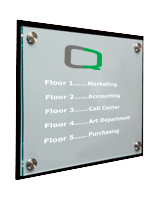 The building signage system can be fitted with logos, room numbers, and name plates, so those navigating a location are able to do so more easily. 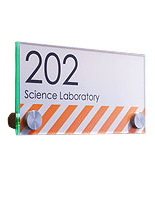 The directory sign, often referred to as an office labeling solution, is frequently set up around colleges, airports, businesses, and other locations that have multiple areas. 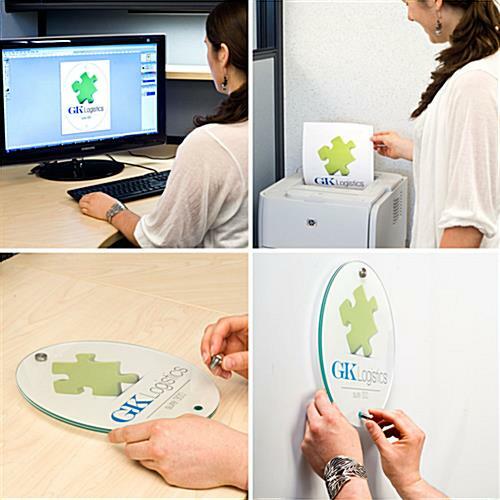 The interior signage panel enables fast personalization because the customer is able to apply the design with their own printer. 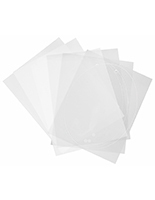 Additionally, film sheets that are printable come with every purchase, so users may develop several different displays. 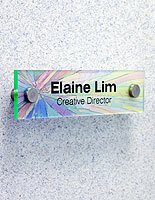 Hardware is provided, so the directory sign that fastens with standoffs is put up in almost no time. Typically, the configuration is mounted upon doors or walls; however, all surfaces that accommodate standoff equipment are suitable for installation. This interior lobby display, directory sign projects elegance with its green, glass-like edges. 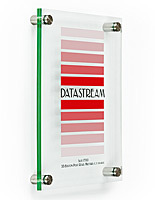 The contemporary style of the acrylic construction allows the unit to be used in any atmosphere or environment. The directory sign is also quite inexpensive, which is important to consider when comparing it to other customizable lobby sets. 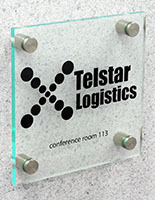 Each directional system comes with not only frosted but also clear printable film for custom lobby logos. (Note: The film can only be printed with Color or B&W laser printers and photocopiers, not inkjet printers.) 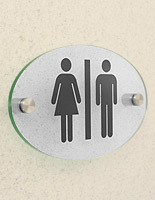 No matter which directory sign customers choose, the rendered graphics will look fantastic. In the event that information changes down the road, users will be able to create additional signage with the leftover sheets. A number of templates are available for download for users, which is what makes customization of the directory sign is so straightforward. Once the logos have been printed up, they are positioned in between the panels and are attached using the included standoffs. 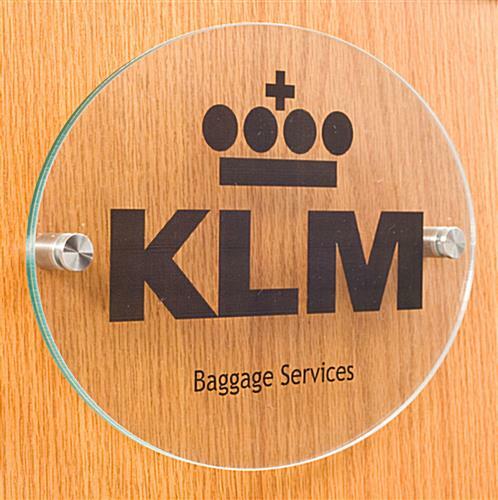 Use this style of directory sign to create interest while informing patrons and guests! 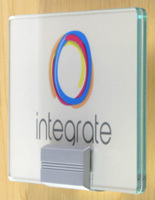 This is a great way for us to display company names outside of the offices in our building. Very modern looking, easy to print and install. Came in good condition and was easy to install. Thanks for the great review, Mark! 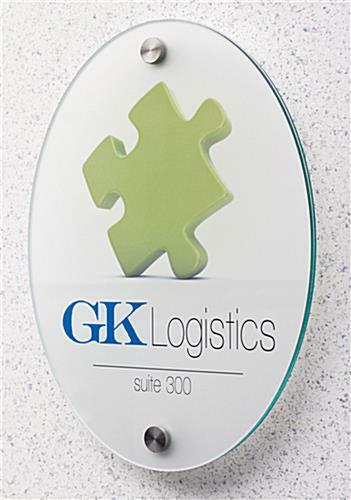 We really like the logo plaques and have been ordering these for 3 years. Only suggestion would be to pick the type of film rather than have both sent. We prefer the frosted film. The package seems easy to use. We are finalizing the design for the film. We will have the final sign this weekend.